Ngurah Rai airport is located on the southern part of Bali, Indonesia. 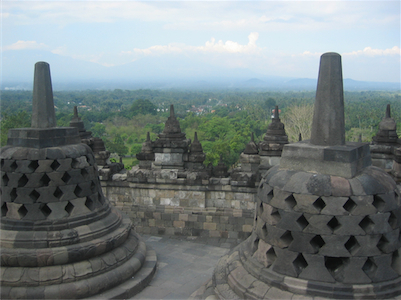 Bali is approximately 13km on the southern part of Denpasar. The airport is considered to be the busiest airport in the region. There are several hotels that are near the airport which offer great meals at great rates. You can get a reservation and conveniently access the hotels directly from the airport without stretching your budget too far. The hotels can be booked online or you can pay once you arrive at the hotel. When most people arrive at an airport, they are baffled as to what mode of transportation that they should use to travel to their hotel room or any other destination. There are several modes of transport at the Ngurah Rai airport. You can opt for car rental to transport you to your destination. Several car hire agencies can be found at the terminals of the airport. There are both local and international agencies that offer guests cheap car hire. You can also get a taxi from the airport. The taxi counter is located at the arrivals hall. All you have to do is to tell the attendant behind the counter your destination and pay. You will then receive a receipt. You can also opt for a motorbike which is among the most favored modes by the residents of the area. Nevertheless you’ll probably prefer a car for hire if you’re a tourist. When you arrive at the airport, the first thing that you will realize is the taxi touts who will approach you trying to get you into their taxi. This happens once you have left the secure area. There are several bureaus that you can find at the airport where you can exchange your money. Most stores and service providers at the Ngurah Rai airport accept MasterCard or Visa. Parking your rental car in Denpasar Bali Airport can best be done in a garage. Its safer for you and your rental car. There might be the possibility to park your rental car in the outskirts of Denpasar Bali Airport and move around by public transportation which is not too expensive and will compensate for the parking fee you will need to pay if parking in the city center. Take in mind that many big cities have a city center only accessible for locals or delivery purposes. Rentalcargroup.com compares car rental prices for Denpasar Bali Airport). We work with many car rental companies so the quality of the cars is guaranteed. This way you will be sure to get a rental car that suits you the best and for a competitive price. Last month, the average car rental length at Denpasar Bali Airport was 5 days. The average rental car length at Denpasar Bali Airport is 6 days. The most booked rental car type currently at Denpasar Bali Airport is MINI cars. Last year, the most booked rental car type at Denpasar Bali Airport were MINI cars. How much does it cost to rent a car at Denpasar Bali Airport? Last month, the average car rental price was 176 USD. Last year, how much did it cost to rent a car at Denpasar Bali Airport? Last year, the average car rental price was 217 USD. What is the current average daily price to rent a at Denpasar Bali Airport? Last month, the average rental price was 33 USD per day. How much did it cost to rent a car at Denpasar Bali Airport over the past 12 months? Last Year, the average rental price was 35 USD per day. The car rental companies available at Denpasar Bali Airport are: . See below last 5 customer reviews. Our customers rated Denpasar Bali Car Rental with an average of 0.00 based on 0 ratings.